Get this sporty styling SportMate™ Scrub Watches which is specifically crafted for medical professionals. Prestige Medical time pieces are designed for a variety of workplace applications while enabling the personalization of healthcare. 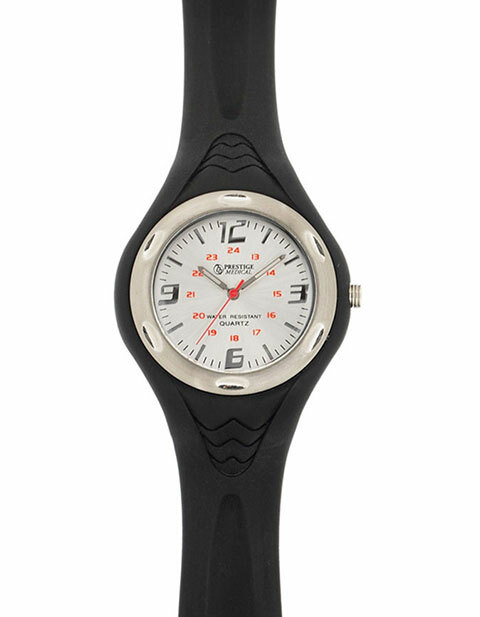 This watch includes Quartz movement with a battery (SR626SW), silicone band, plastic case and plastic lens. Available in five colors.